Energy is an important policy area for the EU, and many of the directives and regulations in this field have been incorporated into the EEA Agreement. These are briefly described below. Efforts to open EU electricity markets to competition have been in progress for a number of years. The 1996 Electricity Market Directive (96/92/EC) set out common rules for the internal market in electricity, and was the first step towards an open, common European electricity market. At the same time, steps were being taken to develop common sets of rules for the internal electricity market and the internal natural gas market. When the second energy market package was adopted on 26 June 2003, significant new steps were made towards a more open energy market. The Electricity Market Directive II (2003/54/EC) includes minimum requirements relating to deadlines for opening the market to industrial and household customers and for ensuring a legal separation between transmission functions (transmission is electricity transport on extra-high and high-voltage lines) and activities related to generation and trading. The Directive also contains rules on consumer protection. The regulation on cross-border exchanges in electricity (Regulation (EC) No 1228/2003) was also part of the second energy market package. It is intended to stimulate cross-border power trade, and thus enhance competition in the internal electricity market. The regulation also provides a framework for further harmonising the principles on exploiting the transmission capacity between countries. In addition, it provided the legal basis for Regulation (EU) No 774/2010, which introduced the inter-transmission system operator compensation mechanism (the ITC mechanism), based on the costs associated with transit of electricity. The Gas Market Directive II (2003/55/EC) contains very similar provisions to the Electricity Market Directive II. The EU subsequently adopted Regulation (EU) No 1775/2005 on conditions for access to the natural gas transmission networks. The second energy market package was incorporated into the EEA Agreement on 2 December 2005. The package has been implemented in Norway’s Energy Act and Natural Gas Act and regulations under these acts. The EU’s third energy market package was adopted on 13 July 2009, and consists of five legislative acts. Four of these amended existing legislative acts: Electricity Market Directive III (2009/72/EC), Gas Market Directive III (2009/73/EC), Cross-Border Exchanges Regulation II (Regulation (EC) No 714/2009) and Gas Transmission Regulation II (Regulation (EC) No 715/2009). The fifth is Regulation (EC) No 713/2009, which lays down new rules establishing the Agency for the Cooperation of Energy Regulators (ACER). The the third energy market package has not yet been incorporated into the EEA Agreement. A new regulation has also been adopted on the inter-transmission system operator compensation mechanisms. This replaces Regulation (EU) No 774/2010, but like the previous regulation it is not part of the actual package. In addition to ACER, the third package established two organisations for national transmission system operators: ENTSO-E for electricity and ENTSOG for gas. A central element of both the Electricity Market Directive and the Gas Market Directive is new, more rigorous requirements for the independence of national regulatory authorities. Regulators must be independent both from the industry and from political authorities. In addition, the directives give regulators a wider area of responsibility and additional tasks. The two directives also set new, more stringent requirements for organising network activities at the transmission level. As a general rule, they require ‘unbundling’ (separation of ownership of transmission systems and generation and supply systems). They also include more extensive consumer protection provisions. The Renewable Energy Directive (2009/28/EC) establishes a common framework for the promotion of energy from renewable energy sources, and was incorporated into the EEA Agreement on 19 December 2011. It applies to electricity, heating/cooling and transport, whereas the 2001 Directive only included electricity. The overall EU target is to meet 20 % of gross final energy consumption with renewables by 2020. The Directive specifies renewable energy targets for each country, which are also to be met by 2020 and will ensure that the overall target is achieved. Norway’s target follows from a decision by the EEA Joint Committee. In 2020, Norway is to meet 67.5 % of final energy consumption with energy from renewable sources. The EU countries have drawn up renewable energy action plans with targets for the three sub-sectors (electricity, heating/cooling and transport). Norway has made amendments to regulations under the Energy Act in connection with implementing the Directive. The Energy Performance of Buildings Directive (2002/91/EC) was incorporated into the EEA Agreement on 23 April 2004. It defines a common methodology for calculating the energy performance of buildings, and requires member states to set national requirements for the energy performance of new and renovated buildings. It includes provisions on energy performance certificates for new and existing buildings and on the inspection of air-conditioning and heating systems above a certain capacity. In December 2009, Norway adopted national regulations implementing the Directive’s requirements for energy performance certificates for buildings. From 1 July 2010, it has been mandatory in Norway to hold an energy performance certificate whenever a building is constructed, sold or rented out. Non-residential buildings exceeding 1000 m2 in size must have an energy certificate that is displayed for the building’s users. The CHP Directive (2004/8/EC) on the promotion of cogeneration based on a useful heat demand in the internal energy market was incorporated into the EEA Agreement on 8 December 2006. The Directive aims to improve energy efficiency and security of supply by promoting highly efficient combined heat and power generation (cogeneration or CHP) where there is a useful heat demand. The Directive has been incorporated into Norwegian law through the Energy Act and the 2007 regulations relating to guarantees of origin for generation of electrical energy. Commission Decision 2007/74/EC sets out harmonised efficiency values for separate production of electricity and heat. The Ecodesign Directive (2009/125/EC) establishes a framework for setting ecodesign requirements for energy-related products (such as light bulbs and household appliances), and was incorporated into the EEA Agreement on 1 July 2011. The Directive is a revision of the previous Ecodesign Directive from 2005. In February 2011, Norway adopted national regulations implementing the Directive. These are administered by the Norwegian Water Resources and Energy Directorate. The EU lays down further provisions for specific products in implementing regulations, which also apply in Norway. The Energy Labelling Directive (2010/30/EU) deals with labelling and standard product information to indicate the consumption of energy and other resources by energy-related products. It was incorporated into the EEA Agreement on 7 December 2012. The Directive is a reformulation of the 1992 Energy Labelling Directive. In May 2013, Norway adopte national regulations implementing the Directive. The EU lays down further provisions for specific products in implementing regulations, which also apply in Norway. The Security of Electricity Supply Directive (2005/89/EC) deals with security of supply and infrastructure investment, and was incorporated into the EEA Agreement on 8 June 2007. The Directive requires each member state to implement a policy for security of electricity supply. It did not result in any amendments to Norwegian law. The Water Framework Directive (2000/60/EC) aims to promote integrated water resource management on the basis of standards for the ecological status of freshwater and coastal waters. It has been implemented in Norwegian law through the Water Management Regulations. The standard environmental objectives are the achievement of ‘good ecological status’ no later than 15 years after the Directive enters into force. However, the Directive allows for adaptation, both through exemption provisions and through the designation of certain water bodies as ‘heavily modified’. The environmental objectives for these are less ambitious. They include water bodies where extensive physical alterations have been made for the benefit of society, so that they will not be able to achieve the standard environmental objectives. In Norway, these are typically water bodies that have been regulated for hydropower production. The Environmental Liability Directive (2004/35/EC) was incorporated into the EEA Agreement on 5 February 2009. It establishes a framework for environmental liability based on the polluter-pays principle in order to prevent and remedy environmental damage. Environmental damage covered by the Directive includes damage to protected species and natural habitats, water damage and land damage. However, a decision by the EEA Joint Committee determined that the rules regarding damage to protected species and natural habitats do not apply to the EFTA EEA states Norway, Liechtenstein and Iceland. 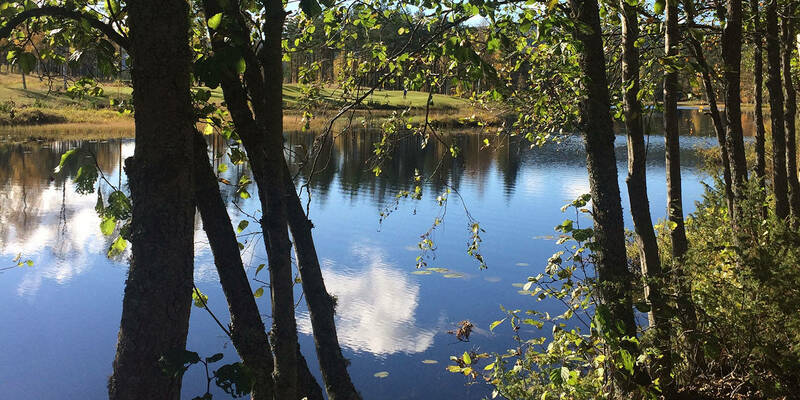 Norway has made some minor amendments to the Water Resources Act and the Watercourse Regulation Act to implement the Directive in Norwegian law, as a result of the Directive.